Rehab Guide provides professional guidance for people looking for drug and alcohol rehab in Glasgow and the wider U.K. Finding the right rehabilitation centre for you, or a loved one can make all the difference to their recovery. Ideally located for rest and recovery our addiction treatment centres near Glasgow are both easily accessible and secluded offering peace and privacy. Choosing a rehab centre that is close enough for a quick admission and visits from family members can be very important for many people suffering from addiction. 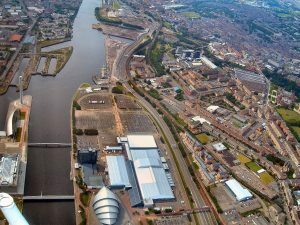 If you find yourself or a loved one struggling with drug or alcohol addiction in Glasgow we can find you a rehabilitation centre to suit your needs with specialised treatment programs tailored to the individual. Our Scottish rehab centres are found both central to main towns and in more tranquil rural settings. Those who are looking for medical detox in Glasgow, as well as rehabilitation, will find the ease of a quick admissions makes the difficult period of withdrawal less painful. If you are in the Glasgow area or looking to recover in Scotland, we can find a clinic that meets your needs quickly. We understand the importance of seizing the moment when you or a loved one decide to seek help for addiction. Scotland offers the ideal surroundings for addiction recovery for both those looking for treatment and rehab in Glasgow and from further afield. Glasgow is easily accessed both locally and through national and international transport links. The clinics that we work with offer pick up for clients who are being admitted from the main transport hubs around Glasgow and other Scottish cities. Due to its popularity as a rehab location, there are various centres near Glasgow both close to the city and in the countryside. These Glasgow rehab clinics offer a range of the latest as well as tried and tested treatment options for alcohol and drug addiction.